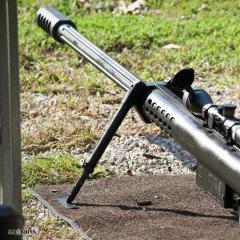 What was the first major machine gun shoot you ever attended? 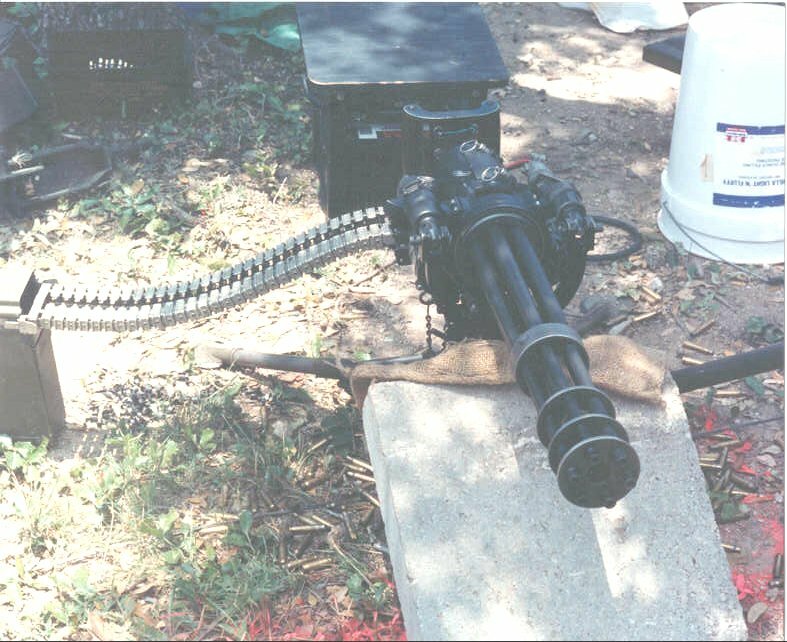 For Andy and me, after going to some small shoots in the Austin area, the first major machine gun shoot we attended was what ended up being the last Hill Country Machine Gun Shoot in the San Antonio area (Helotes, TX) in May, 1991. Some of the guys talk about the North Woods shoots in NH of many years ago – Statford Hollow area. Wish I could have been part of those (since I’m from that area) and love to read anecdotes about them. But I came onto the NFA scene a little later. My first major shoot was the SP Crater shoot near Flagstaff in the early 2000s. Attended these for a couple years and brought my 1919, AKs, M16s, etc. Met a lot of great RKIs, and got some good help. One of the most vivid memories of these shoots is of a family or group of shooters located a few positions down from us. They that had a huge RV and they had quite the assortment of belt feds – maybe a dozen or more. And they gave the image of a focused and trained team well experienced at these shoots - their younger members operating a regular production line with all the loading machines laid out in a line, loading up belts in a disciplined, ship shape manner. Other memories include the big hail storm in the region just before arriving one year which caused broken windows and other damage to vehicles there. Also there was the ND of one attendee – complication with a tent stake line and his colt 45 ending in a leg wound. Then there was the “air force”, fire department, night shoots and other really cool parts of these SP Crater shoots. Neighbors on the line let me shoot their Ma Deuce and Thompson SMG and I returned the favor of course. All in all these were comradery and knowledge-building experiences with good memories. Job pressures and overseas assignments have kept me from attending any of the big ones since. Hope to get to Big Sandy when I get back. So y'all are some TEXAS boys? 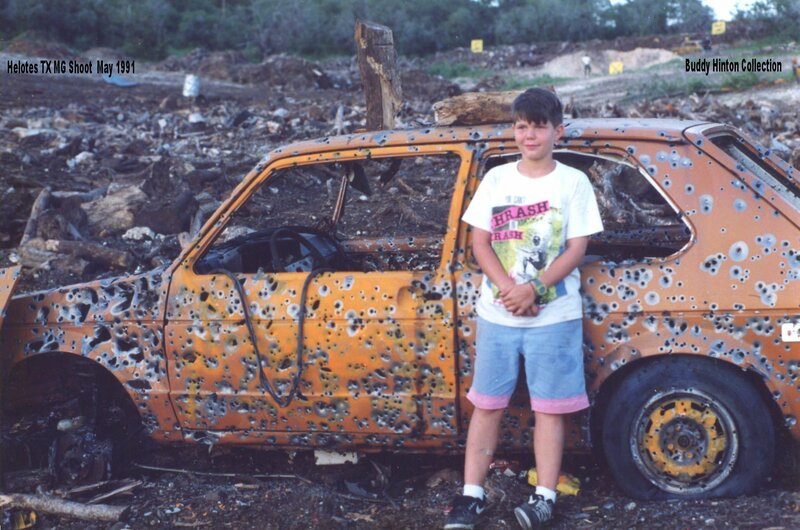 My first and Only MG shoot was the SAME > Hill Country Machine Gun Shoot in the San Antonio area (Helotes, TX) in May, 1991. Weird huh ? 8 years later Andy contacts me to monitor Sturm ! ! Sure was LOTS of night Tracers on the evening shoot ! With the tracers .....you could see the guys with shoulder fired Selectfire rifles.....BLASTING WELL OVER the treetops ! 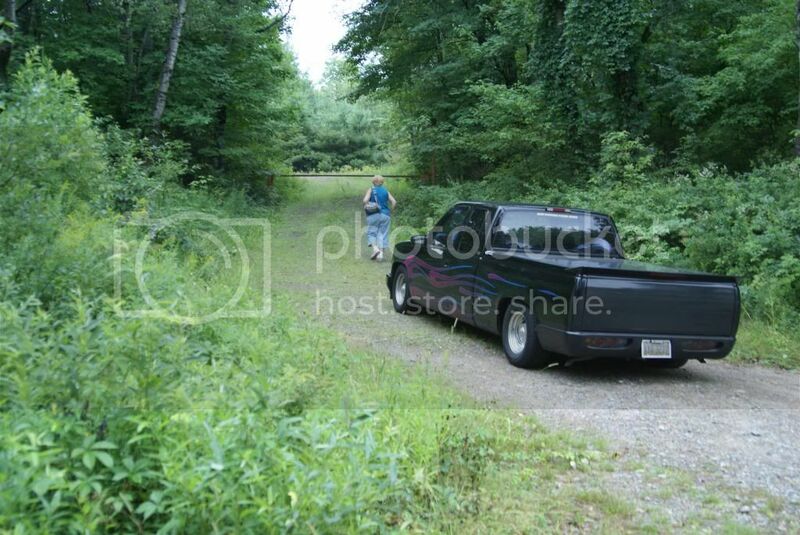 I believe this was the FIRST and LAST .... MG shoot at this location........ as there was LITTLE to NO berm backstops ! ! Bullets just Whizzed over the tree tops ........ people down range Complained Heavily ! Here my son ....... some of those holes were His ! I've never been to a "real" machine-gun shoot. As wanted to, but other stuff has always kept me busy. We have a state-range about an hour and a half away, that gets lots of NFA/class-III guys up there on weekends. It's complicated, but yes, both Andy and I spent quite a bit of time in TX, and our Mom is 5th generation Texan. I lived in Austin for 21 years, and now live in OH. Andy and I both also spent considerable time in Hawaii. We were several points in towards the half track from where your son is pictured. I still have the badge, and while I'm away from it at the moment, I think we were at point #24. I'll confirm when I'm home. The badge still hangs on my bulletin board in my home office. My first shoot was an Idaho Automatic Weapons Collectors Association shoot. It was the St. Patrick's Day shoot where they had a car and Tannerite taped to the bottom of plastic 55 gallon drums. When you hit the Tannerite the barrels would shoot up in the air about 30 feet. The car caught on fire with all of the bullets being shot into it, and it was amazing the force of the concussions from so many automatic weapons firing off. The best part of the shoot was a raffle. If you paid for a $10 raffle ticket for an NFA item a guy named Gene would let you shoot his M16 with 10 rounds in a magazine. I paid for a ticket, and after that point I was hooked. I ended up buying a can in six months later and an M11 a year latter and have been heavily involved in the organization ever since. I am working on my 4 transfer of a full auto (Lightning Link). These shoots are great ways to get people involved in the sport, and the generosity of Gene made me a lifer to the sport. Acme Sports hosted a shoot in southern Indiana around 2005-2006. All I had at the time was my M11/9, but I still went and shot. Great time! Got to try a lot of cool stuff that day. My first was at the Hernando Sportsmans club in 1996 in Florida...which turned me to the dark side and eventually an 07/02 FFL business...now a regular at these events...we bring hundreds of fire exstinquisers.several friends,customers,and up to 50 different MGs....looking forward to the next shoot Feb 28.. These are a few of the pictures I took at the North Country Shoot, Stratford Hollow, NH, 1990 and 1991. That is JAC on the M79. Those were the days! Just after I had received my 03. Guns and ammo were still plentiful and reasonably priced. My first MG shoot was The New Boston shoot in '88 followed by the North Country shoots in Stratford Hollow. I didn't miss a single one. 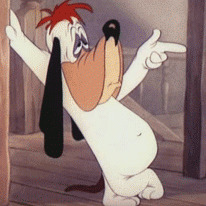 Did a few of the Maine shoots in Dover-Foxcroft and only missed one of the Eden Shoots in Vermont. I have absolutely TONS of pics and video from all the shoots. Even Jim Ballou used my pics and footage in a Knob Creek video tribute to William Villerand. If you spotted a bunch of North Country pics recently, it was probably my stuff. Great Pic from New Boston... '90. Don't remember if it was Spring or Fall shoot. Remember the Yuppie Assault Vehicle? Stratford Hollow..
Howsabout the Creek... BEFORE the pole barn? My first organized MG shoots were when I was just a little kid in the late 70s to early 80s with a bunch of SF guys that were friends of my father. Was a moderate-sized group of guys with Tons of cool MGs and Ammo, seemingly, for days… Best thing ever! Now that I'm older, I can still, vividly, recall but not quite experience ever again, that Disney-like sense of wonderment and awe that most only encounter with the mindset of a child... But for me it was the best of times and I will never forget the things I learned so early in my life and the fellowship that came from those experiences. 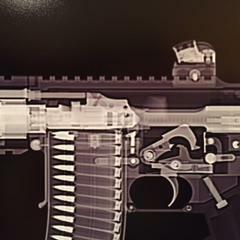 I bought my first 2 NFA items in 2000 and went to my first MG shoot at Knob Creek in Fall of 2000. The first time was surreal and I was glued to the firing line when it was hot. The second time I was at the Creek was either fall '01 or '02 and I was less impressed with watching the firing line since I was a participant in the CampyBob Bulletfests in NE Ohio by then. 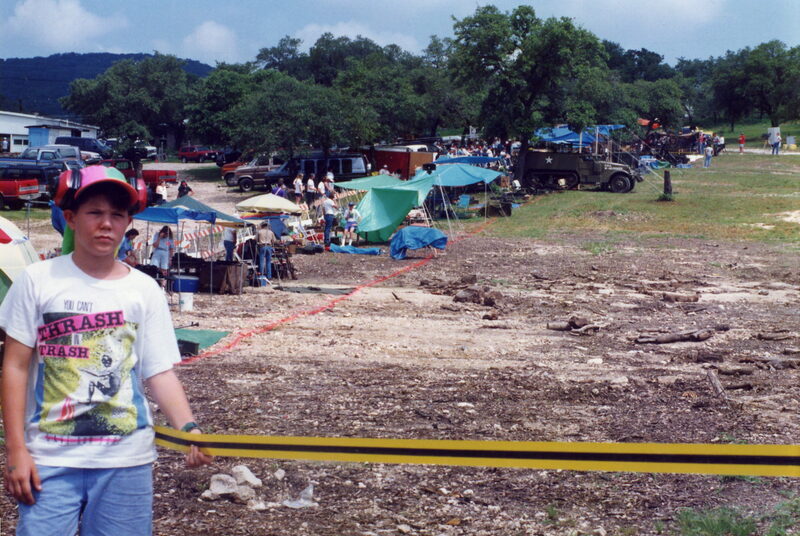 My last time to the creek was Fall '04 and my wife and I never looked at the firing line one minute we were there, but instead looked at every item on every table in the vendor area. I was at all of the Ohio Bulletfests except the last one in 2007. The BulletFest shots were a lot of fun, but a bit dangerous. The main problem was actually the guys with semi autos doing the bump fire thing. For some damn reason, almost every guy bump firing has a tendency to watch the gun rather than their impact area. Watching branches being shot off the very tops of trees means the majority of the rounds were going out of the impact area and at whatever lay beyond. The early shoots with primarily MG owners ran as intended. As word got out, more and more semi only guys were attending which in itself wasn't a big deal, but then the bump firing phenom started in earnest. One jerk next to me with what looked like about a pound of metal looping in and out of ears, eyebrows, his lips, cheeks, and nose promptly bump-dumped 10 rounds from an SKS about 10 feet away from the line, showering everyone in a 25 foot radius with dirt . The line staff couldn't keep an eye on them all and the problems started rolling in. Fortunately, there were no incidents until the last two shoots. At Snodes the next to the last shoot reportedly had a round impact a house while the owner was on his deck. The last shoot, where the firing line was by the road itself killed the shoot. This was the one that launched a ton of lead over the trees and into a neighborhood a mile or so away. It was also the best BulletFest ever. 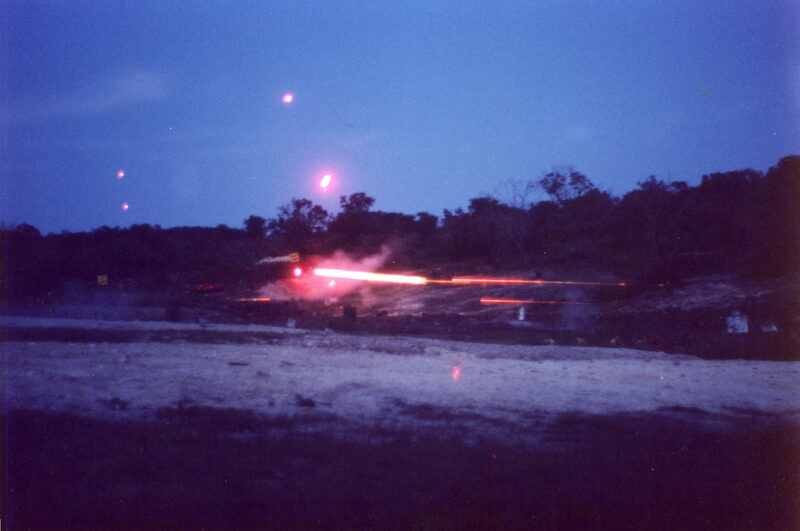 Two lines of targets along the entire shooting line. Literally, tens of hundreds of rider mowers, refrigerators, stoves, water heaters. Propane tanks, motorcycles, cars, baby carriages, etc. A helicopter offering rides firing at targets on the ground if you had the cash. It had it all. Need photos? I got'em. Knob Creek for me in 88 been going ever since only missed a couple did use to shoot on the line but gave up my spot.Been some great times and memories,and lots of coin left behind. But ya know some of the greatest deals I have ever received were concocted there!! This 20mm was always a nice one to watch fire up,along with the quad 50 were the coolest and most fascinating to watch..
For me it was at the Hernando Sportsman Club a few years back (don't know which year, but in this decade). Since then we've gotten lucky enough to spend time on the line at Knob Creek and at Fort Gordon. Going to be spending some time this week getting the last of the ammo ready for Hernando on the 28th of February and may even start figuring out what I need to get ready for the April Creek! My first shoot was around 1998 in Miami at one of Ruben Mendiola's gatherings at Trail Glades Range. Ruben let me shoot his Colt M16A2 open bolt LMG. It wasn't until 2002 that I started buying MGs. Charlie Erbs Water Box Mine shoot...........bullet impact area was a backwater off the Mon River south of Brownsville, Pa., April 1984. The dead level lane of about 1/2mile was the worse road I ever traveled. Shoot was spring & fall, Pa's rainy seasons, water/mud holes in the road were 10-12ft long, 10-16" deep, one could count on his headlites being completely covered with mud coming & going!!!! 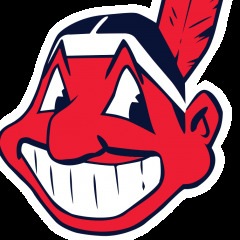 I drove Judge Calhouns 1982 Plymouth wagon in, not knowing any better..........had muddy water in the back floor. I had bought a Madsen M-50, 9mm, from C. E. & the paperwork had just come back. Saw my first MG 34 & 42s, there, bought one of each soon after. Later bought a Jap T-99 & a Gustav 6.5 Sweede BAR from seeing them there also......................still have all these guns. My first MG shoot was KCR in 1995. I was hooked and haven't missed one since. My first shoot was about 5 years ago. I rented a range spot at the Oklahoma full auto shoot and trade show in wyandote, Oklahoma. next year I rented two spots and have been going back ever since. My son loves it and its one of the highlights of the summer. I need to go to knob creek just to say I have been there. I love the shoots and encourage people to attend who never been to one. Its a blast and lots of fun. 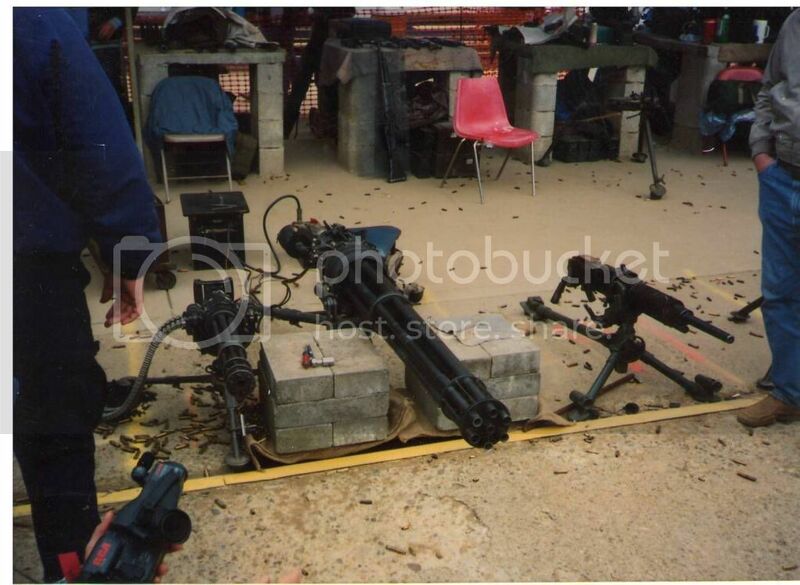 My first shoot was in Las Vegas at the Soldier of Fortune firepower demonstration. The array of MG's was always great, Dillon Precision never failed to disappoint, and the Mini Gun would always be my favorite. The manufacturer demos were entertaining, and often illustrated real issues with the product. I sure miss the gunshow at the Sands Hotel too! Yes, anyone who's ever attended a MG shoot with a Mini-gun on the line will agree that there's nothing like hearing that gun buzz. Where in Helotes was the shoot held? I live off Bandera Rd and can only imagine how much fun I would have had if we'd lived in town back then. At any rate, my first "shoot" was at "The Gun Store" on Tropicana in Vegas. Not quite a social gathering but went with friends and had a great time shooting the various guns they had for rental. Big Sandy in AZ have not missed one in 5 years. My first shoot was the annual ATF MG and explosives demo for the Dallas US Attorney's office. It was held at the Dallas PD range by Mountain Creek Lake. Must have been 1986 or so. 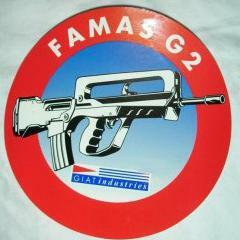 It was my first exposure to the TSMG, MP40, Uzi, MAC, M16, and AK47. Got to see some righteous explosions, too. C4, TNT, Det cord. Man, I had some bragging rights at school the next day. I'll have to dig out the photos some day. Knob Creek 89. Met friends that have lasted a lifetime. Not the same shoot now. KC was my first to attend but I wasn't on the main line so it may not count. Great at photos and stories from the days of yore gentlemen. Thanks for posting. My first one I can remember fondly is 1984 in Angeles Shooting range in Southern California. I watched and observed some guys shoot a 1919, BAR, and I think it was a Thompson M1A1 all properly registered I believe. My dad's weatherby 22 rifle just didn't feel interesting after that. Dunno' if these count however my first major shoots were up in Manitoba Canada back in the 70s, seem to recall my first was staged at the Shiloh Proving Grounds. Back then there were still a crap ton of folks who held the Prohibited weapons license that would get together for rather large events...what we might call Living History today. Most of the players were Vets ranging from WWI to Korea and were tickled pink to let a young Yank run a belt through a Maxim on a Sledge mount or try out a RCMP R75 BAR...they never even asked my father to pay for the ammo. After they changed the laws there those shoots just died, in time so have most of the guys who possessed the grandfathered license to purchase and possess resulting in many of the guns being Deactivated. When they restricted magazine capacity that was a real death knell for it. Started attending KCR in the mid 90s or there abouts' Used to set up at the Louisville National Gun Day show, leave folks to watch the tables and take a quick stab south plus attend the night shoots. KCR was Okay back then however waaaaaaay to many idiots and retards. The Canadian shoots were much better organized...no shifty looking Meth Tweeker types plus you were dealing mostly with men that had used these arms in combat, in addition no one was trying to slump the barrel on their guns playing the spray and pray endless ammo dumps. Heck I was taught the principles of indirect fire and the beaten zone behind a Vickers. The main reason I attended KCR was the Barn for bits and kits as well as bargain ammo to flip. I just was uncomfortable with the juvenile perspective that a fair number of attendees seemed to share. I am a late bloomer, Hernando MG shoot in Fl Summer 2012. That was the year I started making all of my purchases too as much as I wanted to get into it in 2007 or so but would not make the leap on a Hk sear at the time. 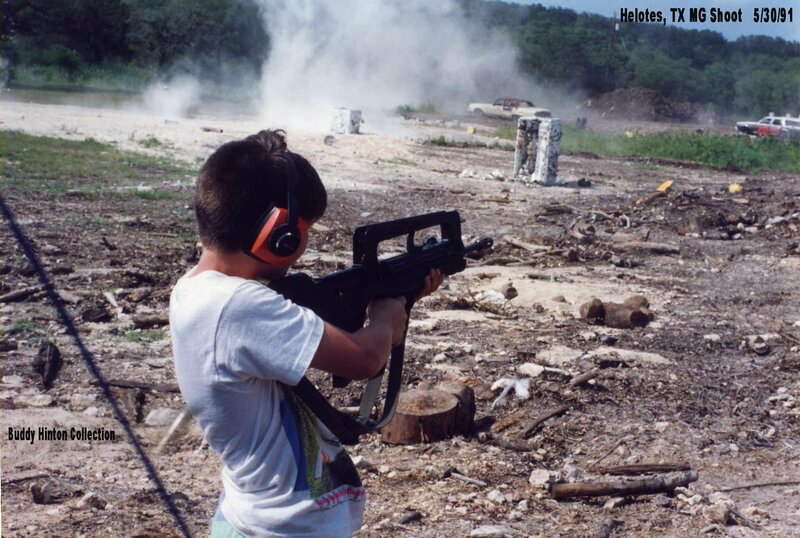 Good thing for you younger guys to bear in mind is that back up through the early 90s the ability of folks to own automatic weapons was pretty much unknown...prices only began to escalate with the advent of the internet. Yeah... I remember that time also and they did the same with the German stuff and Japanese stuff also. I remember the Great Western Show in California and some vets harassed some dealers with Nazi stuff and other stuff. 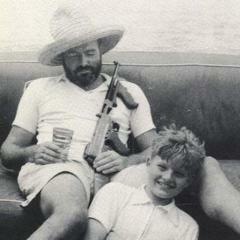 It was the first time in the 80's that my dad told me that sometimes we are our worst enemies. My first and only "MG shoot" was back in the 80's at a gun club in SE Pa. It was hosted by several class 3 dealers including Dennis Todd. It was open to the public and many weapons were demonstrated. This was really well done. There may have been a rental range. Everything was for sale and prices seemed high(for the 80's). I was there all day. The only thing I brought home was sunburn. This was long before digital cameras so no pics. Knob Creek, 1998. I took my 12 year old son who was hooked on video games. He shot all the full autos we could find! I remember the look on his eyes when we pulled in during the shoot out. They were as big as pie plates! The Hot Springs machine gun shoot, it must have been 1993 or so... very cool, we camped out in a repro Civil War A frame tent my Mom and Dad bought me for graduation, and shot my MG 08/15, which was the only MG we had- made pancakes over a campfire, and crawled under a truck due to all the rain during the evening, but it was a great time! I got to shoot an MG13 at the event, owned by a guy who owned coca-cola for Tennessee or something like that, and my friend had someone come up to him and ask him when he'd been in the military- as he was one of the only people there with no military gear on at all, he had a bright tie-dyed shirt on with Donald Duck on it. Great times!!! I've never been to one, but it seems like it's something to be seen for sure! There are some shoots listed in the Calendar feature, which is a tab at the top of the page. I wish there were some MG shoots in central Texas. Texas Gun Fest has a full auto Friday, but it's not the same. And they don't allow 308. There's the Leona shoot in January & July. If we build it they will come. There are enough shooters in TX to make this happen. The Leona shoot was always awesome. The last time I attended was 2002. Our other sister site, Biggerhammer.net has a video and some photos of a Leona shoot in 2001. Back then if you wanted to see a MG shoot, you had to leave the basement. Hmm. Never went to "see" a shoot. Always participated. Besides, only thing I did in the basement was reload. Even pressed the then girlfriend into reloading. She did so without complaint so that was worth getting hitched to. Even now she can be pressed into serving as a pack mule at the Creek. Knob Creek 1992 for me and I was hooked. I have not missed one there since then. In 1994 I got my first NFA item from Kent Lomont and still have it. I finally went to my first machine gun shoot this past Sunday. It was a private invite shoot held by some members of another forum. Everyone was very cool. I brought some assault rifles (I love that term lol), subguns, and belt feds. It was a small shoot, but lots of fun. If I knew how to post pics on this forum, I'd post them. For some reason, spraying and praying into a creek is very satisfying! Splashes! A very generous fella threw large containers of floating tannerite into the creek. With a scoped F/A AR, it was too easy; one burst is all it took. On another container of tannerite, I unloaded a 100 round belt into the area of the tannerite and eventually got the explosion near the 1/3 point of the belt. Seeing as how generous the gentleman was, I gave him a belt on my M60E6 to shoot a container of his tannerite, as he had never shot an M60. He managed to spray all around the container of tannerite, but missed the tannerite. So I backed him up with my MP5 that I had ready. Bad decision on my part because 9mm apparently doesn't have enough to detonate the tannerite. I hit the container, but only a cloud of black powder surfaced in the water. The tannerite got away, but the gentleman had the unmustable full auto grin. Being around like minded and friendly folks who enjoy good food, machine guns, good conversation, the smell of gun powder, and the sound of rat-a-tat-tat-tat, made for a super enjoyable day.